For the first time ever we decided to take a road trip with the kids. 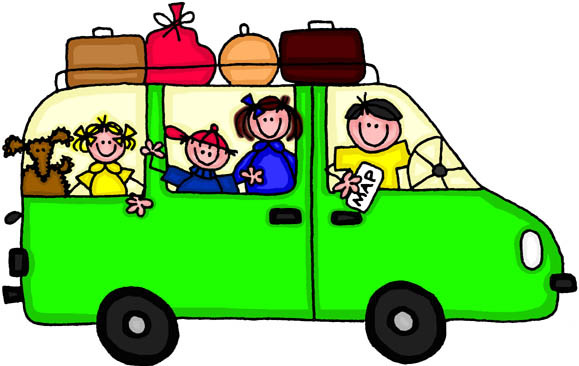 I love road trips when it is just myself or Ryan and I, but I wasn't sure how it would go with the kids! I packed the car the night before and gave each child a bag with colored pencils, a small pad of paper, a coloring book, and a small dry erase board that I found at the dollar store. The dry erase board was the biggest hit by far! I also bought a few cheap movies from Kmart to watch in the van as well. Everyone had a water bottle by their seat, which I later found out was a bad idea for Lola who had to stop to pee every 15 minutes and of course had to go really bad when we were in the middle of nowhere! -this happened more then once! So if you have a child like that - stay away from liquids at all costs!! We were on the road for roughly three and a half hours. The kids did very well. I had hoped that some would sleep, but they were all too excited! Our next stop of the day was Indian River, Michigan. We were specifically going there to see Chillermania, which is the world headquarters for Michigan author Jonathan Rand. He writes a few different series of children's books. One of them is Michigan Chillers. In each book the setting is a different Michigan city. Jackson loves reading these books and really wanted to see Chillermania. We drove through part of Indian River and found it to be a cute little town. We saw the actual river and put our toes and some rocks in it during a potty break. Chillermania was filled with books and t-shirts as well as decor that I would describe as Halloween themed. Tyce was in love with the store! He kept pointing out more spiders, bugs, skeletons, and snakes! He did not want to leave! At times Johnathan Rand will be at the store, unfortunately we did not get a chance to find that out. Lola had to go potty even though we had taken a break about 15 minutes before! She said she couldn't wait and went into panic mode. We asked to use the bathroom at the store and they wouldn't let us! They said it wasn't for public use! Really??? You are running a children's book store where there are no other public buildings around and you will not let a four year old use your toilet?? I told Ryan I wanted to tell the lady there that she had two choices; I could have my child squat in front of her building or she could let us use the bathroom. Ry had a little more of a level head at that moment then I did. He hurried Jackson into choosing a book while I snapped a few pictures- all the while Lola is panicking and doing a potty dance. We threw everyone in the car and drove down the street to the closest gas station. I applaud your genius of running a children's book store! You must know children very well! You intelligently anticipated that since your location is a bit off of the path that sticky fingered little children would more then likely have to go to the bathroom! You also planned ahead with your location so that no other restroom options were available unless the van was packed back up and driven away with a gas station restroom in mind! What a way to get people in and out quickly of your bookstore! No crazy children running around touching everything for an extended period of time! Fabulous! No parents calmly shopping and browsing while their children beg for different items like shirts and hats! There is no time to be worn down into purchasing something you don't need! What a concept! As a parent of four children I appreciate the money and time you saved me by not allowing the use of your restroom to my panicking child! This allowed us to race out of the store quickly with just a $4 purchase as opposed to a $40 one! Thank you!